Mandolin Lessons And Tuning For The Irish Mandolin. This is a guide to get you started, once you learn the basics you'll soon be on your way to reading standard sheet music. 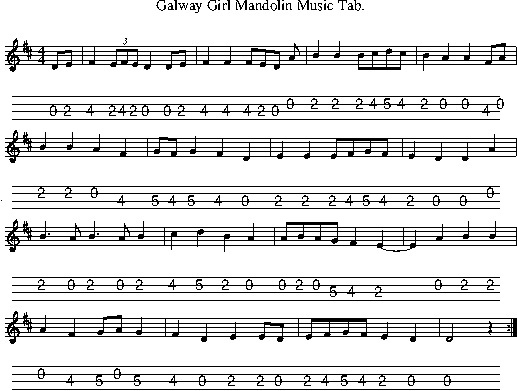 There's at least 150 pieces of sheet music on the site which is suitably for most musical instruments including the mandolin and Irish banjo. 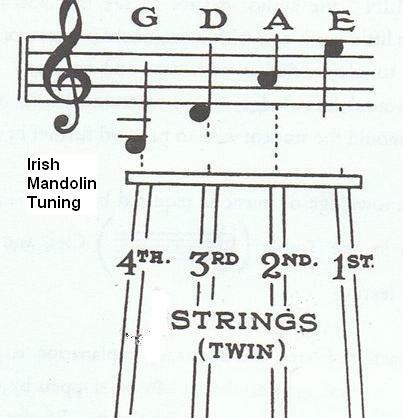 The mandolin is tuned the same way as the Irish tenor banjo is tuned, the violin is also tuned the same way. The only difference is there are double strings producing the same note. The above notes are what you will get when playing the strings open, open means not placing your fingers on the strings. 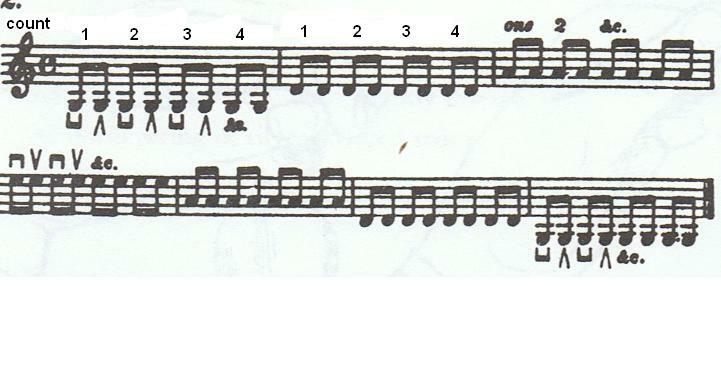 These are also the notes on the Irish tenor banjo. Start slow with your rist held loosly and play with one down stroke marked like the figure ''n'' to each note, the symble that looks like the letter ''U'' is the upwards stroke which is played twords your head with the plec held firm but not too tight. Remember to keep the wrist loose. mandolin is all about as it's a melodic instrument. 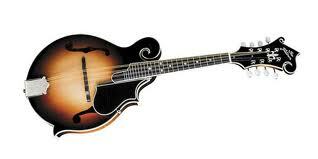 The mandolin is also use to play chords which are mostly used to accompany songs rather that tunes. The songs on this site use mostly three or four chords. 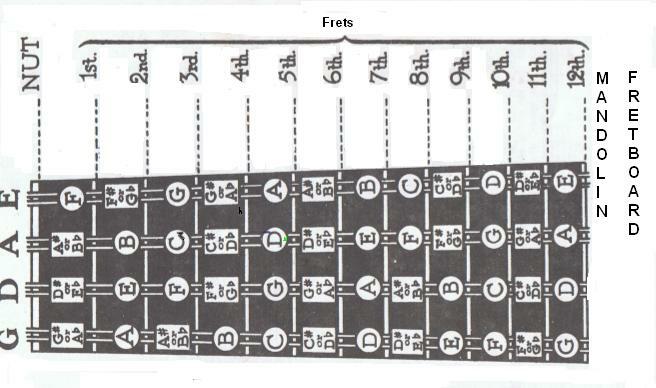 The diagram below of chord shapes are the ones used the most here. There are many alternative ways to play these chords on the mandolin but the shapes I have below are the easiest way.